Katestone’s KITE® forecasts heat, dust and weather for your operation. 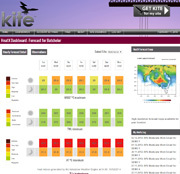 KITE® is an online environmental management system designed to provide state-of-the-art weather analytics. Distilling mountains of complex data into actionable triggers, KITE delivers customisable alerts to you directly via email and SMS. 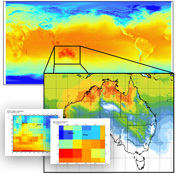 KITE’s site-specific weather forecasts are tailored to your business location and activities. With no weather icons to interpret or confuse you, KITE helps you see your operations risk from weather, heat stress or dust in advance to allow you to make informed decisions to mitigate the risk. KITE benefits your business by reducing your environmental risk, optimising production, protecting workers, investment and infrastructure, all from within KITE’s easy-to-interpret online dashboard. All you need is an internet connection. 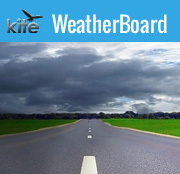 KITE Data Dashboards display 7 day summaries of the week ahead, plus links to each site’s Hourly Forecast Detail, forecast loop, alert logs and observations. 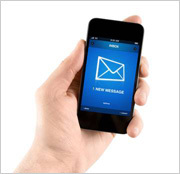 Set email and sms alerts to warn you of impending meteorological situations. Manage all of your site’s user registrations and site access online. KITE’s strength lies in its high resolution 7-day hourly weather forecast powered by the Katestone Numerical Weather System (K-NWS). 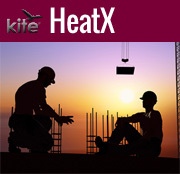 Select the KITE HeatX Dashboard for advanced warning of potential high heat stress conditions to keep your workers safe. 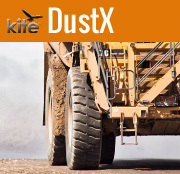 Select the KITE DustX Dashboard to help you manage the dust risk at your site and apply targeted controls to keep your neighbours and the regulators happy. Get in touch with Christine directly for more information on the benefits of KITE for your operations.